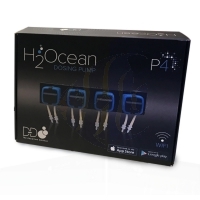 Main pagePumps and pump equipmentdosing pumpsD-D H2OceanD-D H2Ocean 4 Kanal Dosing Pump (106257) (DDP4)Have You see this Product cheaply? I am interested in the article: Model-No. : 122877 D-D H2Ocean 4 Kanal Dosing Pump (106257) (DDP4) However I saw this article at a favourable price with one of your competitors. Please you communicate to me whether you can undercut the article genanten above.